What do we do? Well, what we are very good at, is teaching the basics of bee keeping. SBT provide beekeeping courses for of all levels of experience from beginner, to the more advanced bee microscopy, for experienced beekeepers who want to advance their knowledge. SBT never stops, as soon as the season has ended, we run a range of theory classes during the winter months to apiary based practical sessions. Surrey Bees Training directors, Kevin Findlater and Lorraine Ragosa-Rout have also founded a very successful independent Bee Membership Group (Surrey Bees CIO, a registered charity) with over 100+ members which Surrey Bees Training supports. Its purpose is to provide training, a collective source for sharing bee information, mutual membership support to increase beekeepers knowledge of beekeeping and the development of a variety of practical beekeeping skills. We are members of the Bee Farmers Association and our bees are located on some of the most prestigious and top 10 golf courses in Surrey and Hampshire. Not sure if beekeeping is really for you? The Beginners Beekeeping Theory Course is designed to help new beekeepers or indeed those who have just started beekeeping to increase their knowledge. The course is an 8 week theory course starting in February combined with the all-important candidate participation. To enquire about available places please complete the enquiry form and one of the team will contact you to discuss preferred available course dates and venues. The Beginners Beekeeping Practical Course follows on from the end of the theoretical part running for 8 sessions at our training apiary. Candidates learn how to handle bees, how to inspect, swarm management and the beekeepers year. We then have nucleus’ of bees and Hives, Full sets of First Year Equipment available to purchase at discounted rates. We will provide full support, a bee buddy and membership to Surrey Bees CIO to enable you to make the most of your new found hobby. Late in the season we provide additional free one off days to demonstrate clearing supers of honey, extraction, varroa treatment and setting up for winter for attendees. To enquire about available places please complete the enquiry form and one of the team will contact you to discuss preferred available course dates and venues. If you do not have a Bee suit they can be provided. The BBKA Basic Assessment Course is aimed at those members who have been keeping bees for at least 1 year and wish to measure their achievement in basic beekeeping skills and knowledge. It is also a prerequisite if beekeepers wish to take further qualifications with the BBKA. The course covers the theory behind the basic assessment during the winter months and follows with a 5 week practical, culminating in a Mock Assessment before the Assessment Day at one of the SBT Apiary sites. To enquire about available places please complete the enquiry form and one of the team will contact you to discuss preferred available course dates and venues. 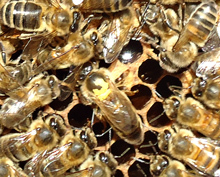 The Queen Rearing Course is run every other year for members and will incorporate the Jenter method of queen rearing for the hobbyist beekeeper or to rear a larger volume of queens. The course takes place at our training apiary in Pyrford and is over three half days a week apart. Courses are run during May and June. Queens reared will be provided to those attending the course. To enquire about available places please complete the enquiry form and one of the team will contact you. 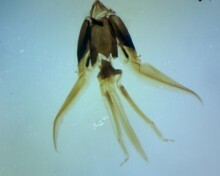 The One Day Microscopy Courses are for members to engage in more intricate bee anatomy work. Candidates learn how to set up a microscope, dissect bees, mount bee anatomy parts (external and internal), learn how to check for nosema and acarine, pollen mounting and identification. Microscopes and equipment provided with Training Manual. To enquire about available places please email surreybees@outlook.com and one of the team will contact. 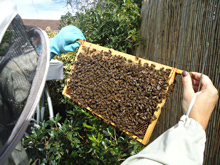 The practical sessions are taken at the SBT apiary site in Pyrford which house a minimum of 30 colonies each. The apiary site has a mixture of different types of hive which beekeepers are able to experience.